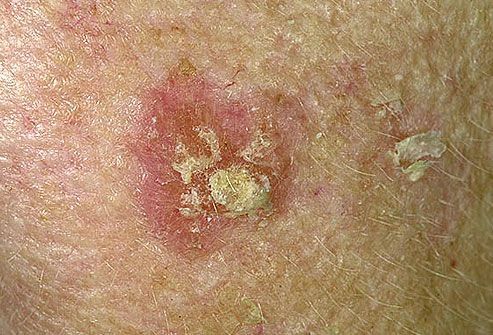 Actinic keratoses are premalignant skin conditions. Solar ultraviolet radiation exposure plays an important role in the ethipathogenesis of actinic keratoses, as well as tar and various chemical compounds such as arsenis and arsenites. The mucosal correspondent of actinic keratoses is actinic cheilitis, a disease bearing increased potential of malignant transformation. Actinic keratoses may transform into squamous cell carcinoma within decades, while for actinic cheilitis the period of time may not exceed a few years. Recent advances in the field of dermatology have established the efficacity and safety of the use of diclofenac as topical agent for the treatment of actinic keratoses. It seems that topical applications of 3% diclofenac gel b.i.d for 3 months may lead to the dissapearance of lesions. Total lesion clearance after topical 3% diclofenac gel is as high as 79% as assessed by the latest studies. Partial remission counts for 3/4 in the rest of the lesions treated. This may be due to cyclooxygenase enzyme inhibition and decrease in cell proliferation and in angiogenesis (formation of new blood vessels within the lesions). Nevertheless the mechanism of action for diclofenac is still unclear.